Although I didn’t know it at the time, my journey towards triathlons started around 5 years ago. After years of working out in a gym, I decided to go for a run. It was only 3k, but it was so hard! I wasn’t anywhere near as fit as I thought. After building up distance slowly but surely, I ran a marathon, plus multiple obstacle course races. Looking for another challenge, I bought a bike. I was now enjoying running and cycling. I’d always liked the idea of triathlons, but it never seemed like an option because my swimming was so bad. Honestly, I was terrible. I needed to learn how to swim from scratch, but I was too intimidated to join a club. Then two years ago, I finally plucked up the courage to go to one of the ATC Tuesday night coached swimming sessions at Ashford Girls School with a couple of mates. I was introduced to Ruth, who would be my coach. She asked me to swim a length or two so she could see what she had to work with. I couldn’t even swim a length of the 20 metre pool. It was embarrassing. But Ruth was amazing. She basically taught me how to swim, building a competent swimmer, piece by piece. All of the other coaches are brilliant too. A few months later, I did my first triathlon. Then another, and another. I did six triathlons in my first year. It’s safe to say I’d caught the triathlon bug. This club is so friendly and welcoming. It genuinely is suitable for everyone, regardless of experience, fitness or pace. I realised this after taking part in the Owler half-Ironman distance triathlon. I’d had an absolute shocker. My swim was awful (it was a miracle that I was even swimming in open water! ), and I had a nightmare on the bike. I’d had two punctures, and only one spare inner tube. Eventually a kind passerby gave me a spare tube, but I spent nearly all of the 56 mile ride in last place. It was a wet and miserable day. I was miserable too. By the end of the race, I think I’d managed to get to third from last. As I entered the Julie Rose Stadium for the finish, it was a bleak sight. The organisers were packing up, the spectators were long gone. I’d pretty much decided to give up triathlons all together. Then I heard my name being shouted over the PA system. I looked over to see who it was, and noticed that a group from ATC had waited behind for me. Bare in mind I hadn’t been with the club long, I’d never even had a conversation with most of these people. Yet they waited for a long time in the rain for me, just because I was one of them. Genuinely, I’ll never forget that. What a great club. 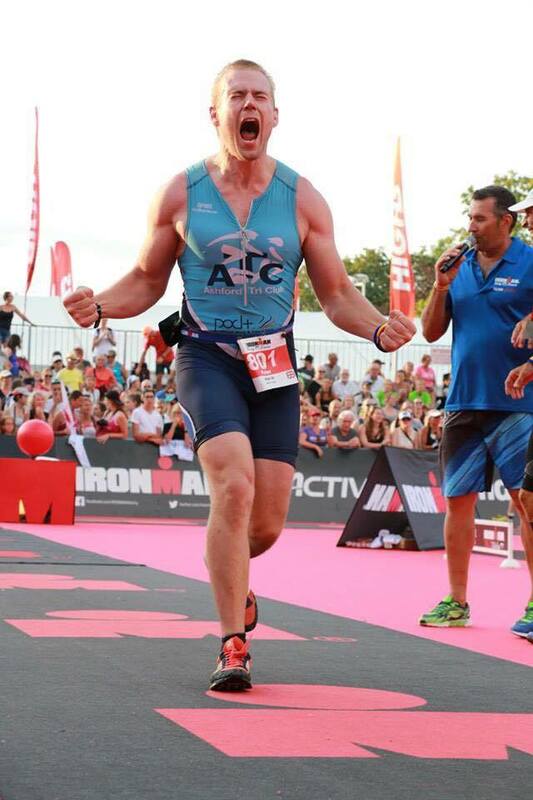 This year I completed my first Ironman, which was one of the best experiences of my life. And it would never have been possible without ATC.